There is a new-found indignation from the US and other governments over China's repression of its Muslim minorities. After decades of silence, governments in Washington, Berlin, London, Ottawa and elsewhere have woken up to the brutal repression against China's ten million Uighur Muslims in the far west region of Xinjiang. Reports, denied by the Chinese dictatorship, of up to two million Uighurs interned in prison camps as part of a "deradicalisation" campaign by the Chinese authorities have been condemned. Officials from the Trump administration (which infamously tried to ban travellers from seven Muslim-majority countries from traveling to the US) have recently threatened sanctions, such as travel bans and the freezing of bank assets. US vice-president Mike Pence, who has emerged as the Trump administration's foremost 'China-basher', has accused the Chinese regime of trying to "strangle Uighur culture and stamp out the Muslim faith" alongside other issues such as economic "cheating" and using "debt trap diplomacy" through its huge 'Belt and Road Initiative'. The latter items reveal more clearly US capitalism's real agenda - which is not to improve the conditions of the Uighurs, or other oppressed peoples, but to push back in every possible way against China's growing economic and geopolitical muscle. This pressure is clearly having an effect in Beijing against the background of Trump's trade war and a parallel tech war aimed at excluding Chinese telecom giant Huawei from Western markets. At the recent twin sessions of China's rubber stamp parliament, the NPC and its advisory body, the Chinese People's Political Consultative Conference, a senior Xinjiang official announced that the camps, described as "vocational schools", would be phased out once they have outlived their usefulness. Few people believe this statement, which is just an attempt to throw dust in the eyes of media and foreign diplomats. In another attempt to blunt the US-led Xinjiang offensive, China invited representatives of European governments based in Beijing to join an inspection tour of Xinjiang. US officials immediately blasted this offer and warned the tour would be "highly choreographed and chaperoned". Socialists condemn the Chinese regime's large-scale repression in Xinjiang and support full democratic rights for the Uighurs and other nationalities in respect of language, culture, religion and political freedoms. This, in our opinion, can only be won through mass struggle that links up with the working class throughout China and beyond its borders, aiming to overthrow capitalism and authoritarianism with a socialist alternative. But we warn there should be no trust in, or support for, Western capitalist governments that have only recently taken up the plight of the Uighurs, Tibetans, Hong Kongers and other minorities under Chinese rule. This is all political camouflage for an increasingly ruthless strategic struggle against the Chinese regime for economic and geopolitical advantage. The repression is a stark warning to the workers' movement in China, and the left, of the repressive trajectory of the dictatorship under Xi Jinping. Xinjiang, half the size of India, is China's main energy-producing region and a launch pad for Xi's Belt and Road Initiative into Central Asia and the Middle East. It is also the regime's number one testing ground for repression, combining a full-scale military crackdown with the latest hi-tech surveillance and monitoring systems. During the Mao era there were some progressive policies, including an increase in educational resources for non-Han ethnic groups like the Turkic-speaking Uighurs. But today, Uighurs and other Muslims are treated as second-class citizens and openly discriminated against. This was long the case in the labour market and education system, but now their lifestyle, culture and religious customs are the target of a severe crackdown in the name of fighting terrorism, despite the fact that freedom of religion is written into China's constitution. Fasting, refusing alcohol, "abnormal" beards, going to the mosque other than on a Friday, are all branded as "extremist behaviour" by the authorities. 29 "extreme Islamic" names are banned for newborn children, including Mohammed. For decades, and especially since ethnic riots in 2009, Xinjiang has seen numerous campaigns launched from Beijing, with the aim of suppressing nationalism, and more recently terrorism and 'religious extremism'. 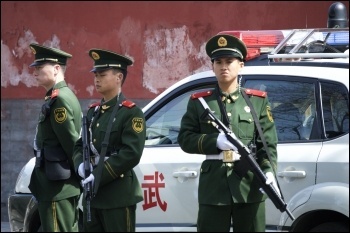 Xinjiang's security budget has increased ten-fold from 2007 to 2017. Since 2016, this process has gone into overdrive with the appointment of hardline Communist Party leader Chen Quanguo to run the territory. 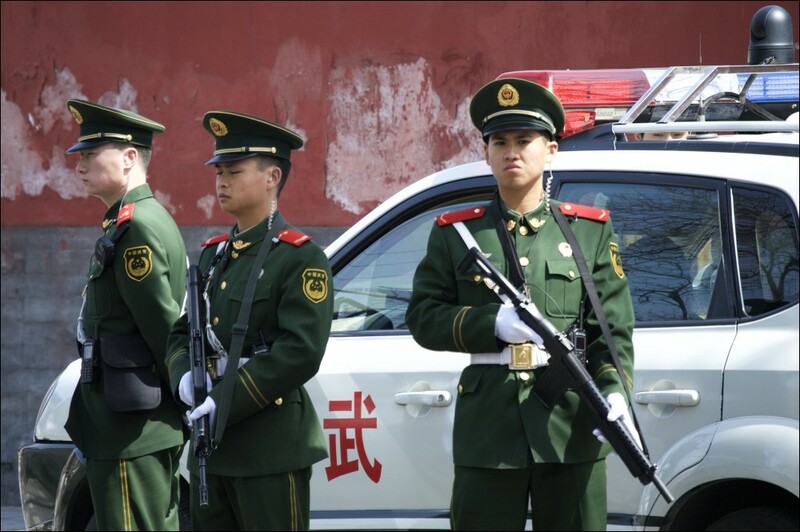 More than 7,000 'convenience' police stations have been built across Xinjiang to support a 'grid-management system' of surveillance and control, with cities divided into squares encompassing around 500 people, each served by a police station. Including low-paid auxiliary officers, police numbers have exploded since Chen took control. Last year alone, an additional 32,000 police officers were recruited. Chen, whose previous posting was Tibet, was sent to pacify Xinjiang. But these policies will reap a whirlwind of hatred and resentment towards the Chinese state. This will enormously complicate Beijing's Belt and Road initiative plan, in which Muslim-majority countries make up 40%, and will of course be exploited by US imperialism and right-wing politicians in other countries. The mass incarceration and indoctrination campaign ("transformation through education") has led to hundreds of thousands of Uighurs and other Muslims being held in camps. Viewing foreign websites, receiving phone calls from abroad, praying regularly, or growing a beard, are all 'suspicious activities' that could result in detention. The construction of new camps has surged since early 2017. Inmates are made to participate in drills and self-criticism sessions, watch propaganda videos and sing patriotic songs especially praising Xi Jinping. Those who denounce religion, their own family and friends or fellow inmates, are rewarded, while the less cooperative are punished. Rather than create 'stability', the construction of an unprecedented racist police state in Xinjiang amounts to a political time bomb. 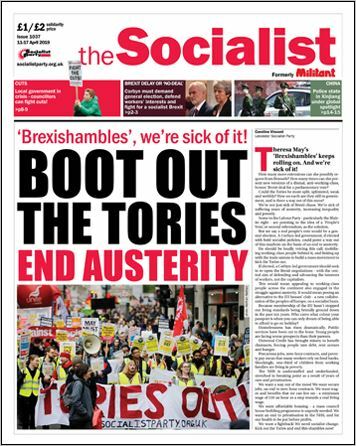 But the fightback needs a strategy and programme to go forward. The methods of terrorism, which may have attracted a small minority of desperate Uighur youth in the past, have been shown to be a dead end. These methods have always and everywhere handed a propaganda gift to oppressive regimes, allowing them to increase repression and sow confusion among the mass of the working class - the only force that can achieve real change. The struggle of oppressed minorities also needs a strategy to win the solidarity of the working class and youth of the dominant ethnic group, who also suffer extreme exploitation, a precarious economic existence, and the crushing of democratic rights.